Every spring we launch a new collection of watches for men and women that continue our passion for watchmaking and innovation. And this year is no different. We’ve added new timepieces to popular collections including the Waterbury and MK1™, as well as new launches for Variety™ and the solar-powered Expedition® Solar Ranger. 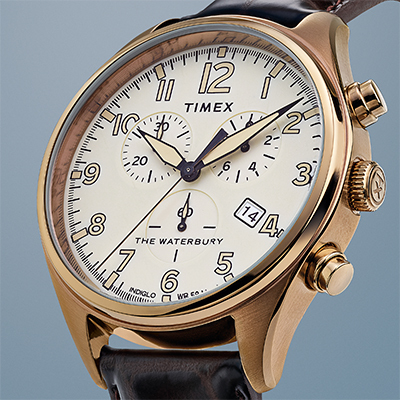 This year’s Waterbury Collection continues to honor our 1854 watchmaking roots and a time when how you made something was just as important as what you made. The Waterbury Women’s Traditional provides an update to a true classic and is well-suited for everyday wear. 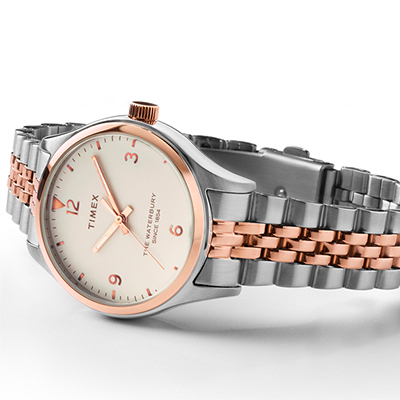 Discover the rose gold-tone stainless steel case with cream dial and the two-toned stainless steel case with a cream dial. 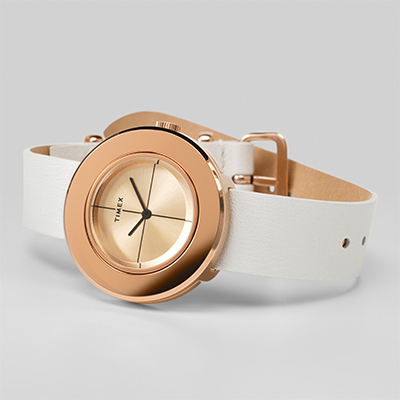 Each has a 34mm case and INDIGLO® backlight to provide an elegant women’s timepiece that is perfect for the office or a night out. Our Men’s Waterbury Traditional continues an ageless design that uses carefully stitched leather and solid stainless steel construction that honors our heritage of authentic watchmaking. 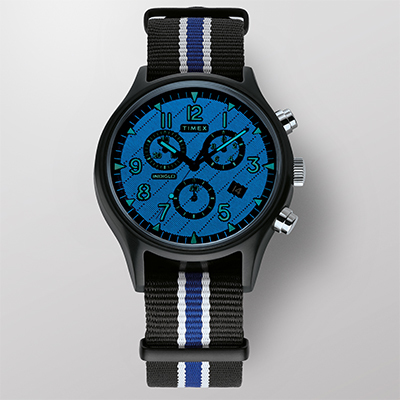 The chronograph features a watch/date window, 42mm case, 20mm lug, genuine leather strap and is water resistant to 50m. The finish with cream dial produces a refined men’s dress watch gentlemen will cherish. After the success of the 2017 Fairfield Chrono Supernova™ we decided to continue its evolution by adding the Supernova™ technology to our popular MK1 model. This watch features a thin layer of perforated pad printed phosphorus material that is placed over the dial and allows light to pass through, creating a unique way to illuminate the dial. The MK1™ Chrono Supernova™ features a date window, stainless steel case, acrylic lens and fabric strap. For women who like to switch up their style, we offer the new Variety Collection. The Variety boxed sets allow women to show the many sides of her character. With interchangeable top rings and slip-thru straps, women have multiple options to customize her watch wardrobe. This spring, our Expedition Collection gets a burst of sunlight. 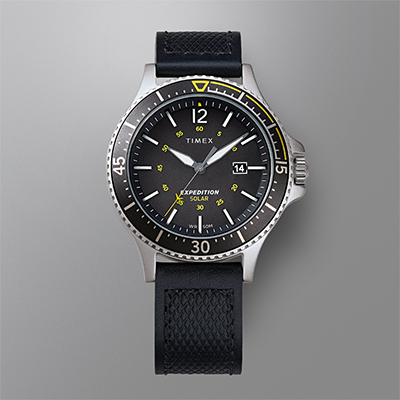 The Expedition Solar Ranger features solar movement functionality to create an environmentally-friendly timepiece that can be charged through indoor fluorescent light or outdoor sunlight. The Ranger is available in rich tan, brown and black genuine leather straps with silver-tone cases and black, blue and green dial colors.